NEW YORK (Reuters) - American Airlines (AAMRQA.UL) is seeking to reprice its $1.9 billion exit financing loan via lead arranger Deutsche Bank, sources told Thomson Reuters LPC. The company aims to reprice the loan to a spread of LIB+300-325, with a 1 percent Libor floor. The exit loan is currently priced at a spread of LIB+375 with a 1 percent Libor floor. The repriced loan is expected to mature June 27, 2019, in line with the existing exit loan. The repriced loan will reset 101 soft call protection for six months and include financial covenants requiring $2.0 billion of minimum liquidity and 1.6 times collateral coverage. Although the company is trying to reduce the loan's coupon and save interest costs, American is adding US Airways Group Inc (LCC) and US Airways Inc (LCCUA.UL) as guarantors backing the new loan, thereby potentially enhancing the loan's credit quality. AMR Corporation, the parent company of American Airlines, is guarantor on the current loan, but as American prepares to close its merger with US Airways as part of the company's bankruptcy exit, American is including US Airways as a backer of the loan. Lenders are asked to commit to the deal by 5 p.m. December 11, with the closing and funding expected on December 27. 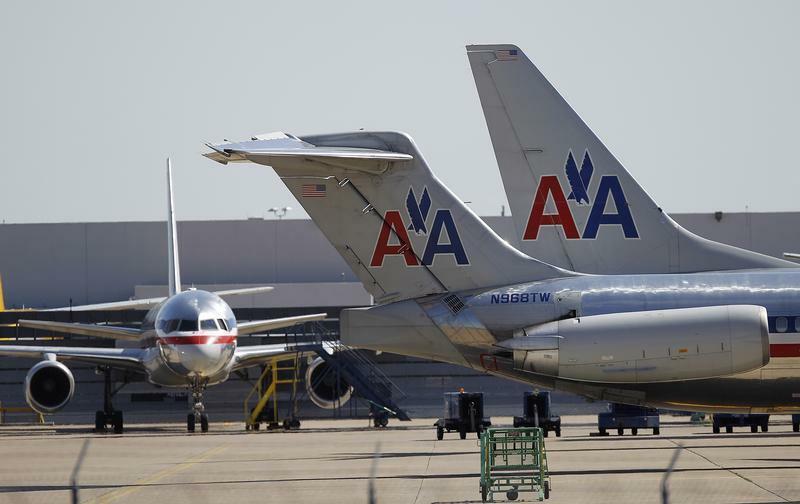 After the merger was challenged by the U.S. Department of Justice in August, American Airlines and US Airways agreed to divest certain plane slots as part of an anti-trust settlement reached last month. U.S. Bankruptcy Judge Sean Lane gave American and AMR Corporation the green light to leave bankruptcy last week. In July, American priced an $850 million add-on loan to its existing $1.05 billion debtor-in-possession loan priced the previous month, taking the total size of the borrowing to $1.9 billion. American Airlines declined to comment. US Airways and Deutsche Bank did not return calls for comment by press time. Additional reporting by Billy Cheung.